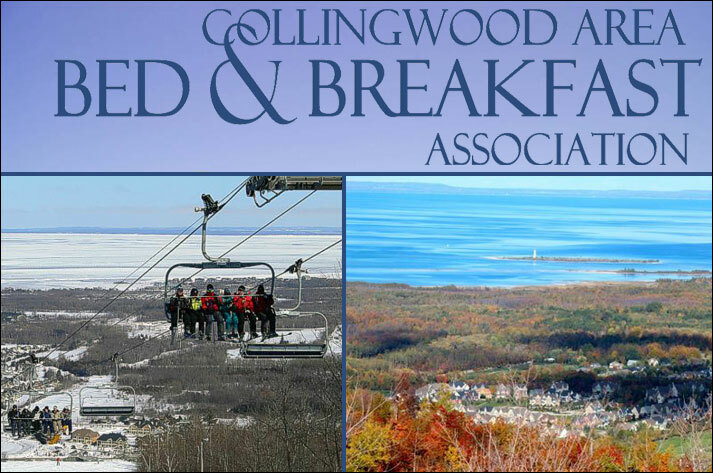 The Collingwood Area Bed & Breakfast Association welcome you to visit a collection of the area’s Best B&B’s. Just 2 hours north of Toronto, this four season playground offers the visitor a collection of small historic towns nestled on the southern shores of Georgian Bay, namely Collingwood, Craigleith, Blue Mountains, Thornbury & Meaford. The Village of Blue Mountain has become a destination point, allowing visitors to enjoy the many shops, restaurants and weekend Festivals throughout the year. Other activities include the roller coaster, cascades golf, Monterra 18 hole golf course, indoor & outdoor swimming pool, tennis, mountain biking, the rope challenge, zip lining and many other seasonal attractions. Visit www.georgianhillsvineyards.ca throughout the year for wine tasting and pairing. A short drive from the Bed & Breakfasts. View all the B&B’s at your leisure by clicking on each of the links provided.